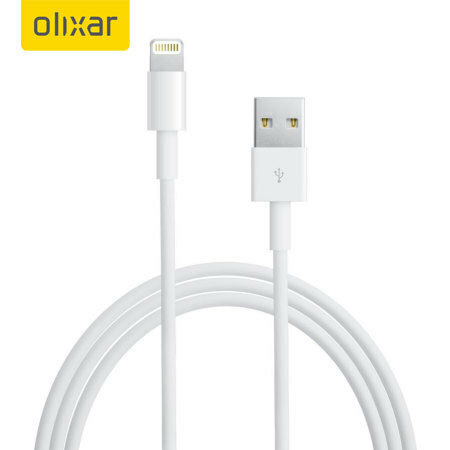 This Olixar Lightning to USB 2.0 cable connects your iPhone SE / 5S / 5C or 5 to a laptop, computer and USB chargers for efficient syncing and charging. Good customer service, fast reply. Does the job, good price. I was not happy with the charger that I bought for my iphone. When I received it and plugged it in, it just kept saying that the cable could not connect with my iphone. When I've looked into this further its because it's not apple approved and it is dodgy. So after paying money for a charger that you'd expect to charge up your phone to say I'm unhappy is an understatement! Sorry to hear you are not happy with this item. Can you please check the power source you are using as if this doesn't provide the iPhone enough power, it can cause the phone to display messages like you are experiencing. The cable is strong and durable. Happy with product. The product came quickly. Product length was not stated but it measured about 1.2m in length. So not to short. Sorry to hear you are having problems with your cable. Please contact our Customer Services team so we can assist. This cable is ideal if your iphone 5 charger cable stops working. This is quite a common problem so this cable is the ideal solution. Really well priced and quick delivery. If it was good quality product. And it seems to work fine. I eill come here again when I something like these. Would recommend too. It appears to work exactly like the apple one, so very happy with this. As above, looks like a genuine Apple lead, charges like a genuine Apple lead. I thought the service was very good and quick. The device is working well. Works just as it says on the box. No problems so far.